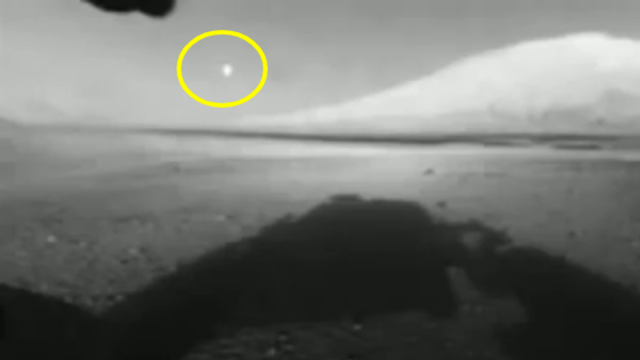 Incredible footage of a UFO on Mars that is flying down probably what it think is a deserted part of an ancient river bed and as it gets nearer and nearer to the Mars Rover you can see that it suddenly "halts in mid air" it's then that it has probably just finished scanning the bottom of the "canyon" or ancient river bed. 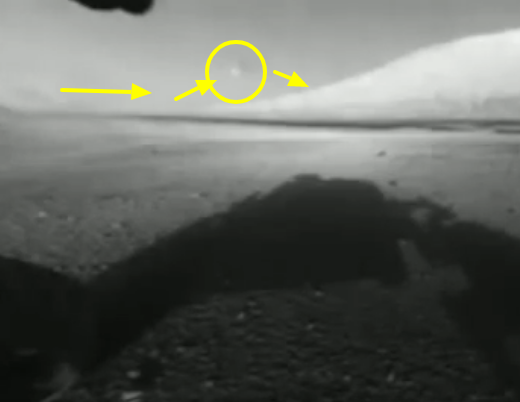 That's when it (The Unidentified Flying Object) probably figured out there's a piece of Alien technology (our Mars Rover is Alien to it) so, that's then all of a sudden the UFO darts for cover behind the mountain you can see to the right in the image below. But even as it darts off for cover it makes another turn in the air towards the lower part of the mountain. This is an intelligently controlled UFO for sure. It even starts to flash or turning as it was held in mid air for what I call the scanning of the ancient floor bed? This is a very, very interesting video from NASA themselves. It was recorded way back in 2012 on 23rd of August - so it's been around the block so to speak but it's the first time that we've seen it (the video) here at USF. But like they say, look and you will find. Guys seriously what the hell, this is what I believe to be the moment when the UFO realises it's not alone and that's why we see it all of a sudden stop in it's tracks but in mid air and then it really does look like it's turning around and then it darts off going low and fast towards the middle of the screen but left of the mountain in the right of the screen. I'm flabbergasted and absolutely stunned by this as it's the first time I've seen this (as I'm sure it's the first time you have as well) and believe me, this is going to be studied and researched by us here at USF. It's really that good, it really is up there (as of right now and first impressions) with some of the best we've ever seen? But, what we really want is your thoughts on this? We would love it if you could share this with your like minded friends and leave us a comment about this? If you've seen something in the video or connected some dots that we haven't yet then please by all means, the more information the merrier. 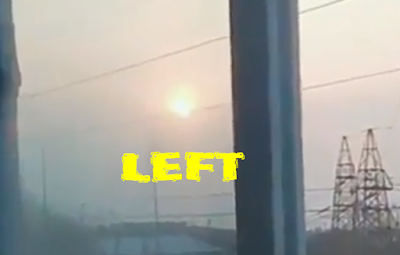 There's one Sun on the left and one on the right in the same video where we see the eye witness panning from left to right showing a very, very peculiar sight indeed which shouldn't be happening but it is. All the information about Nibiru or "Planet X" can be found in the links at the bottom. There's no information with the video and I can only assume that this was uploaded anonymously to Ufolovers on Instagram (link below)? That doesn't take anything away from the videos potential. 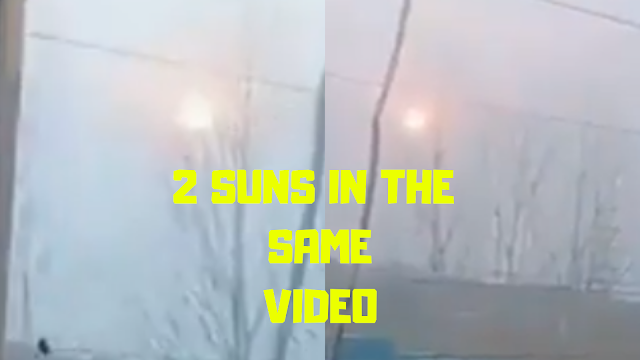 I don 't know about you but this is as strange as it comes because there's no way there ever should be two Suns in the sky anywhere on the planet. This is a real video, but is this a phenomenon that I'm not understanding? I need your opinions as this is either confirming that Nibiru is real which I'm going to go in to a bit of detail and see if this matches up. Is this a Sun Dog, is this a UFO or is this a simple and naturally occurring phenomenon like I have already suggested? The video is only 11 seconds long but it has absolutely amazing quality content. But if this is Nibiru then this needs to be shared with everyone to let everyone now that there's another planet hiding behind the Sun which is also another theory. The video of this is sparse in information wise but it's very forthcoming with Nibiru information like it's size, color and shape as there is a debate of it size? People think it has wings or that it has a double Moon swirl. If this is a Sun dog then it's a very large one and very prominent one as to the ones I've seen before? 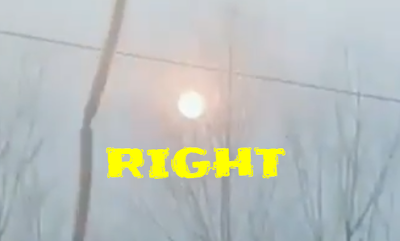 If this is a UFO then this could be one of the most brightest UFOs I've ever seen, so which one is it or is none of them and an entirely different "thing" all together? Here is a bit of history about how Nibiru actually started out and who coined the phrase, who is behind the whole Nibiru theory and what it actually means to believe in Nibiru or Planet X and the Zeta Reticulai Alien Greys apparently in communication or was in communication with? 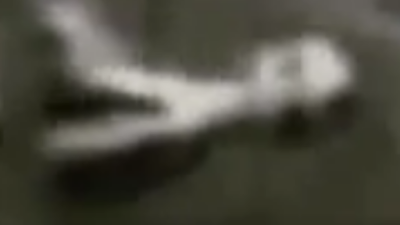 Nancy Lieder is seen from the neck up in front of a background of grey alien faces Nancy Lieder in June 2013 The idea of the Nibiru encounter originated with Nancy Lieder, a Wisconsin woman who claims that as a girl she was contacted by gray extraterrestrials called Zetas, who implanted a communications device in her brain. In 1995, she founded the website ZetaTalk to disseminate her ideas. 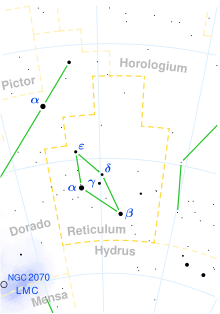 Lieder first came to public attention on Internet newsgroups during the build-up to Comet Hale–Bopp's 1997 perihelion. The Nibiru cataclysm is a supposed disastrous encounter between the Earth and a large planetary object (either a collision or a near-miss) that certain groups believe will take place in the early 21st century. Believers in this doomsday event usually refer to this object as Nibiru or Planet X. The idea was first put forward in 1995 by Nancy Lieder, founder of the website ZetaTalk. Lieder describes herself as a contactee with the ability to receive messages from extraterrestrials from the Zeta Reticuli star system through an implant in her brain. 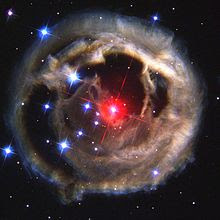 V838 Monocerotis, a variable star accompanied by a light echo, has been erroneously portrayed as an approaching planet or brown dwarf on a collision course with Earth. 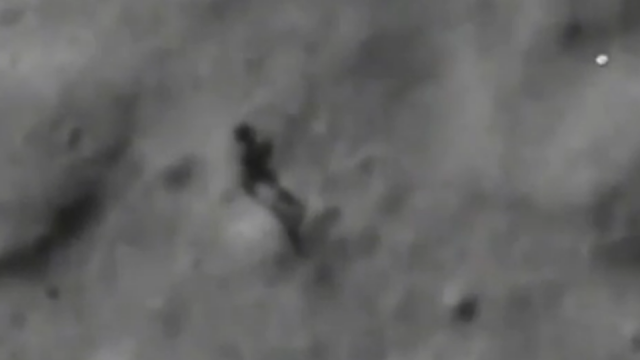 This is definitely gonna be blurred out once Google or the powers that be realise their error and that an Alien is out for a stroll on the surface of the Moon and they took an image of it then released it to the public. This is not a Moon rock, this is not an astronaut out for a adventure, this ain't a classified mission because this is an Alien on the surface of "our" Moon walking around. When "it" should be underground in it's Alien base (where else can it live) just a couple of clicks away. 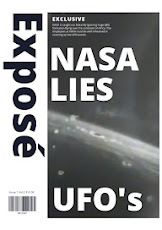 It all actually starts to make sense when you put the publicly available information together - like with astronaut testimonies, ex-NASA employees "off the record" accounts and what other people have gained through whatever means or otherwise? Then there's the information in books from ex-government employees and there's the infamous Gary McKinnon with all he managed to get even though it can't be counted as credible as he stole it. But still it makes me wonder and and then the cogs start to turn in my mind and it literally blows my mind just like that. Who know's what's real or what's not real anymore. 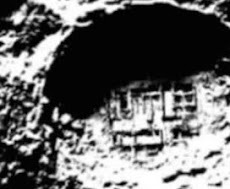 Here is the best Alien evidence that you will ever see "probably" until disclosure has occurred and that's if it ever happens at all? 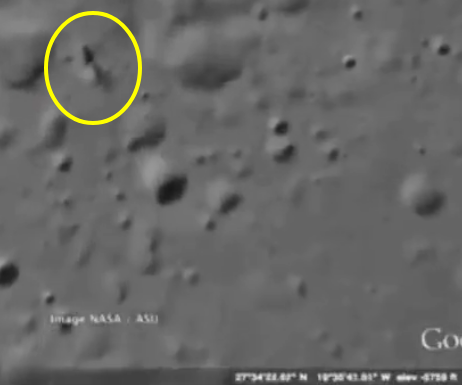 Guy's you can't get better than a Google Moon image with the coordinates to the obvious looking "entity" just going about it's business maybe even having an Alien cigarette. 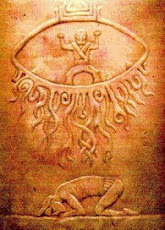 Ufology could wait a lifetime for an image of this quality because it's what's in the image and the consequences of that. It leads on to everything you can imagine. Where is"it" from. Where is it living? How the hell did the Alien get there and omg does that mean there's more? There has to be more unless it's a self replicating Alien entity? That means there is or was a set of parents etc. You get where I'm going with this. Logically speaking, this one Alien being (if it is) has the possibility to rewrite everything. We always knew it would rewrite everything but just didn't give it any real thought? But now, now we have to. Do you notice the NASA / ASU wording? This is an official NASA image sold to Google so they can incorporate it in to their application on Google Earth, Google Maps and this Google Moon? I don't know exactly how it works but this is initially a NASA / ASU (Arizona State University) image which I presume NASA didn't give it away for free to Google so they can put it in their app. This is game changing, I'm not going to delve into the specific details of what would change (think about it) but if this turns out to be real - and it doesn't get any more better than an actual real image from Google Moon because nobody has access to pull off a hoax on that scale. Nobody has access to Google Moon images. 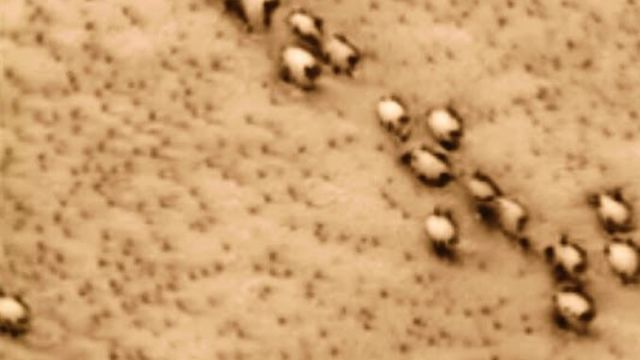 This is a real image, but I'd it a real Alien entity or is it a weird rock formation? Is this discarded Apollo gear? Is this a Moon Rover piece of gear or a satellite? 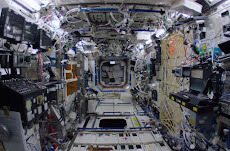 Is it a scientific research instrument left behind by astronauts? There is a answer! It's just finding that right answer in a clear, transparent way. No cover ups, no misleading or mistaking the evidence! This however could possibly be a camera malfunction and a few broken pixels could be to blame? 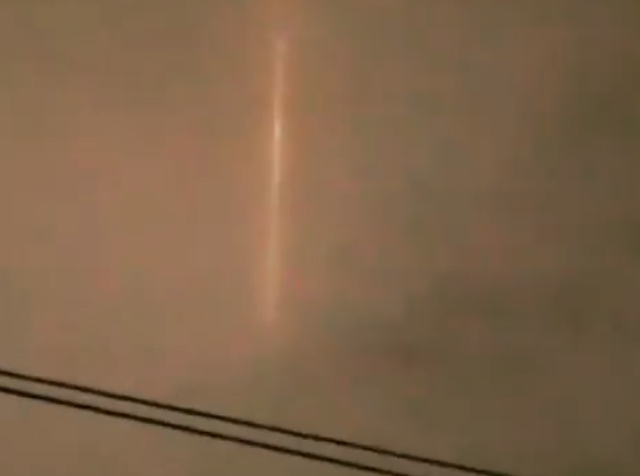 Canada has bared witness to this unbelievable and very intriguing "Alien looking red beam of light" or plasma coming through the clouds over Edmonton, Canada. 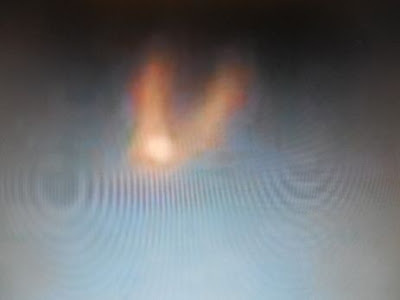 It was bursting through the clouds not long ago actually, only in January 2019 and it originated in space. 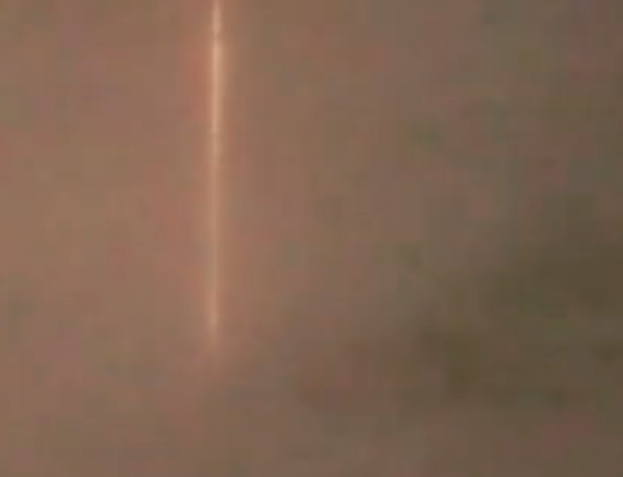 This red plasma beam (or laser) must be coming from space and it must have a source originating at an intelligently made source and that's based on the fact that these lasers do not appear naturally in any way, shape or form in clouds! Like in the video someone mentions "HAARP" and I immediately thought that too? Is this HAARP operating in space or operating in Canada firing up in to space? It's very strange and very interesting anomaly and what has the government got to say about this? Considering it really only just happened the government might not know lol? Someone in the Instagram post actually said it's a flare from an oil refinery. I really don't think that flares behave like this, do you? Since when do flares look like a light sabre? Since when do flares have a vertical line of light. That is not a flare. There's no known source in the known universe that we live inside of and in the visible spectrum of the light wavelength where this occurs naturally - so it must be either man made or Alien made in origin and that's just "the top and bottom of it". Beams of light like this are rare but not unheard of (see blow story) and if I'm not mistaken even they was never successfully identified? How much of a coincidence is that? Well, as you may know I don't really believe in coincidences - because everything starts off with a movement, intention and as you know everything has a reaction so it's either on purpose or inadvertently happened either way it's all part of the reaction from an action. 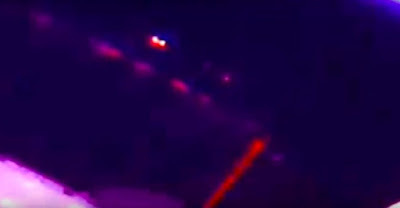 This is the image (above) that was taken when the UFO apparently open fired on the International Space station. Is there a space war actually going on and is this why President Trump has started the Space Force? Who knows what's going on nowadays as anything is possible because we know this through our past, humanity has always achieved the impossible. Technology is crazy, technology will one day give us a longer lifespan, a disease free world and technology will one day allow us to print food at home just like we can with furniture, houses, trinkets and yes all that is true look it up. 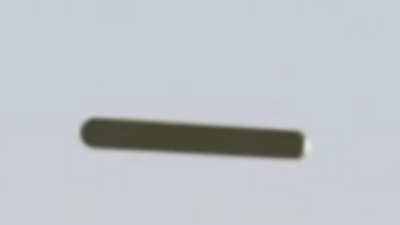 This Cigar shaped UFO is videoed picking up two other UFO probes and I call them UFO probes because they can probably get to places where the larger and more shinier Cigar "Mothership" which is what it is by it's very own definition, can't go. 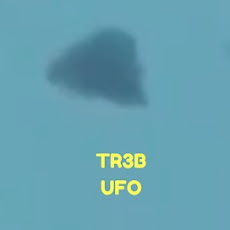 The footage is made more interesting because there's three UFOs instead of the usual "run of the mill one UFO" therefore this has to be researched and by MUFON. MUFON actually research quite a lot of UFO sightings and encounters but are very choosy because they don't have a infinite amount of resources so they have to prioritise their efforts which I understand but if it was me, I'd definitely look in to this one. The information that came with this video on Instagram is a bit sketchy and not a whole lot to go off. The lack of detailed information about this UFO sighting like the time, date and actual location and by whom actually tells me that the eye witness wants to remain anonymous for fear of ridicule or repercussions to his or her profession by others known to them. They might not want to be known as "that UFO guy or woman"! Can you blame them in this day and age, plus that's totally their prerogative as Bobby Brown once sang about. Even though people are more responsible and more open to the UFO theory there's still that certain degree of ridicule. 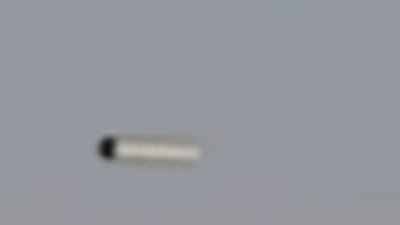 Ufo in the shape of a cigar picks up two probes under the skies of Johannesburg. South Africa, not the usual or typical place that UFOs are encountered but none the less it does happen and as of recent years they have become more frequent. See here for more details about African UFO sightings in particular South Africa. Wikipedia is a wealth of UFO knowledge and as it's updated by the public it has loads of insightful information by the actual eye witnesses from themselves. The video above is spectacular if true and it has ticked all the boxes that I can at this time see and from what I know it looks real. 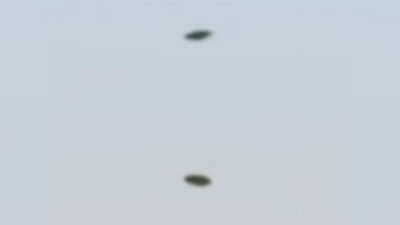 I'm not saying that it's a bone fide real UFO video I'm just saying that I believe it to be real. I really do! It's got the common sense look that we all strive for when checking out these UFO sightings caught on video or even in UFO images. You know, that immediate and near instant opinion that we form? It's that which is telling me that this could be real. That's an amazing feeling don't you agree? 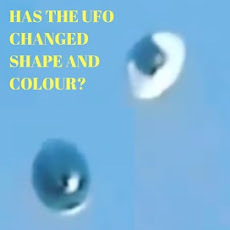 Because the Sun is shining off this UFO it makes me think that the Sun's reflection and the shadows are all very consistent and that is another reason why I believe this to be a genuine UFO sighting. Because when you come to that opinion you start to realise the importance and the impact that it could have if it is indeed real. That's the best feeling ever. 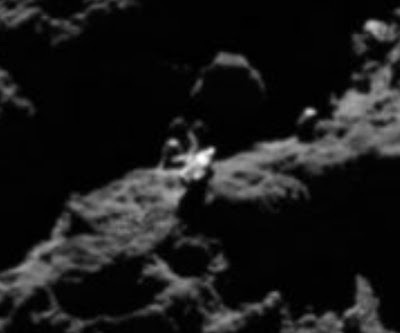 Get a load of this amazing Alien Spaceship flying over the Rosetta Comet 67P at a distance of 81 km away from the actual comet. This is stunning video footage coming from NASA and if your not a believer before you saw this then the odds are that you are now? I don't do this to change peoples beliefs, I do this for the love of Ufology, research and just "pure intrigue". The craft is flying, it's got windows and it's got landing feet. But it looks very Alien to me. I'm curious about Alien life, I'm curious about UFOs and I love reading. Bring the two together and I just post what I'm learning on this fine (like today) journey. Many, many years ago to just even talk about Aliens you'd be carted off to the insane asylum. Talk about acceptance back in to society of the "crazy" lol. The video here is stunning, I'm lost for words when I saw the window. 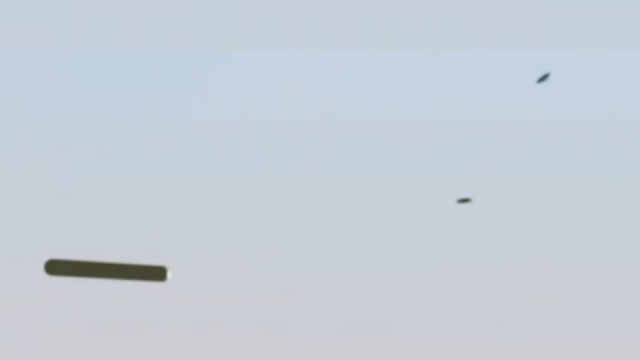 I was open mouthed when I saw the Alien craft then start to rotate. 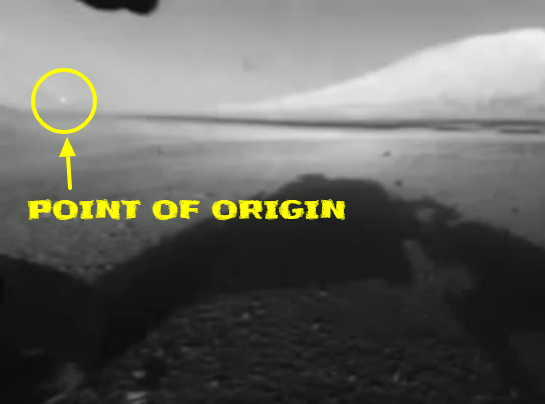 Then I just had to pause the video because I realised this is a NASA video. I literally couldn't watch the video with my thoughts racing like they were! It's a fine video with no hints that it could be a fake, no hints at a hoax and it has the hallmarks if been real. I cannot find any indicators that would suggest this is a faked video. But, I'm not a professional graphics guy or an image analysis expert. But what I have is common sense and even though that's screaming at me this is real, I still have presence of mind to be real about this and yes I will just have to wait until this is verified, lol. 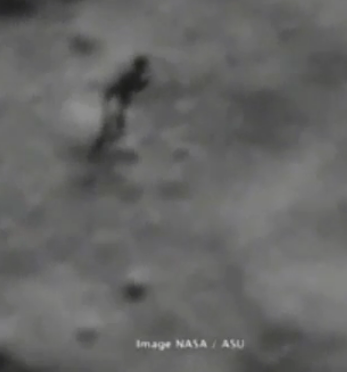 Recently we've been bringing you some fantastic videos with epic UFO encounters within them. 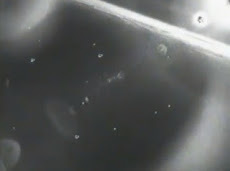 Here is the link to another stunning UFO video with a helicopter checking it out. That's just one post from UFO Sightings Footage that will blow your mind in terms of unusual UFO encounters that have all the factors to say "that is real". 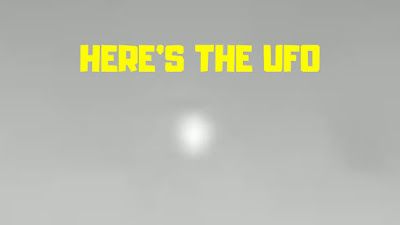 We try our hardest to bring you a really good and "one off" UFO sighting. We try our hardest to get you the most intriguing and interesting footage known to man. Our research is but one cog in the engine. The power or energy if you will, that comes from the amazing people who sends us personal UFO encounters. Thank you guys for sending us your amazing images and videos plus stories. I'm pretty sure that like I was, your open mouthed and probably saying something like what the hell is that? Or it could be Oh My God? Wow, that's another very, very fitting response. I'm sop glad you liked it guys, cheers for stopping by and checking us out. Please share this post with your friends. I knew I recognised this comet! 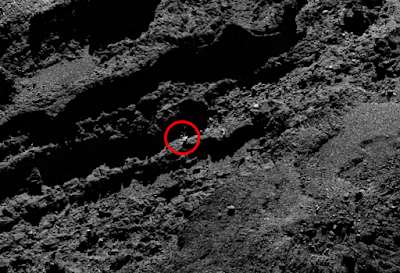 I did a post about this comet a while back now and I found another Alien spaceship in it in OFFICIAL NASA IMAGES which are still there and you can check and verify them for yourselves. Wow, this comet is teaming with UFOs, Aliens and I mean wow. 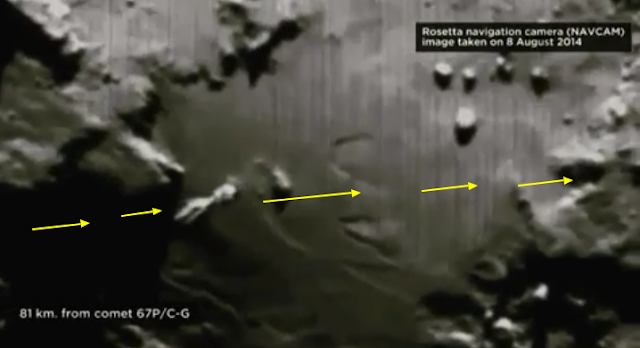 If you zoom in on the comet "anomaly" this is what you will see guys, it's starting to blow my mind now because if you put this together with the other Alien Spaceship in the above video and you start to think wow, this is something very historic. They are still on the NASA website, go check this link. I also have another post regarding a dome o this comet also, wow, this is a very, very interesting comet indeed and it's teaming and I mean it's teaming with strange anomalies. Source NASA Rosetta Comet Mission. 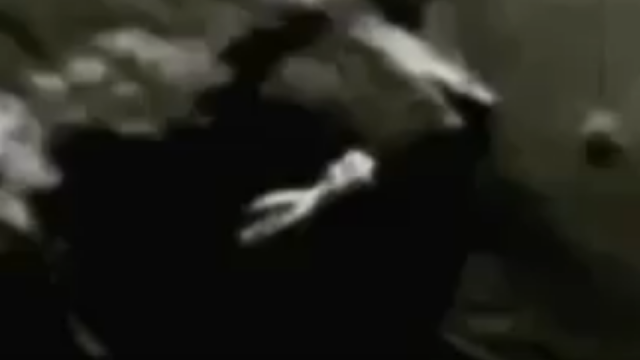 Source Reference UFO Sightings Footage Post 1. 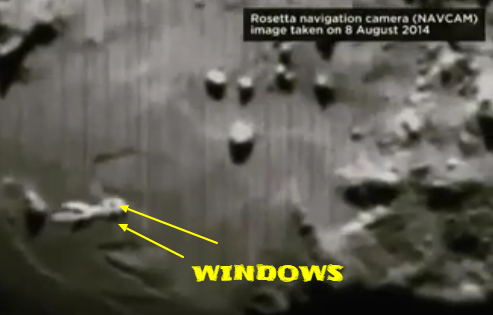 Source Reference UFO Sightings Footage Post 2.